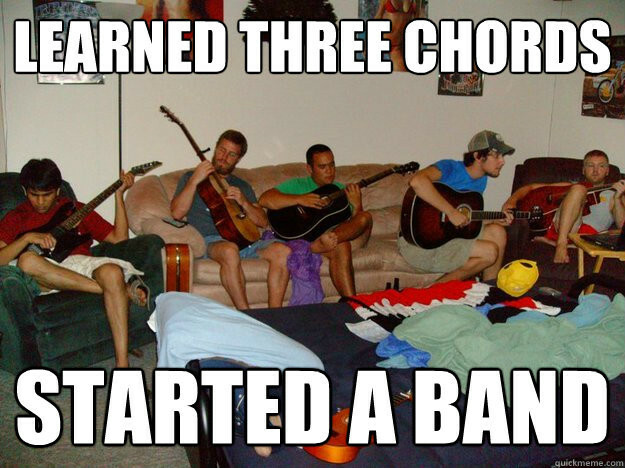 Rules: Only one rule, use 3 chords. I'm going to leave it open to interpretation, Perhaps it's a two chord verse and a one chord bridge or just three chords all the way through. What I will encourage is chord inversions to get the most out of your three chords. Depending on how many entries we get - we may split voting into groups - perhaps on have one for cellphone/lofi entries and one for more studio orientated entries.